Very little in terms of conventional plot trappings happens in this Turkish film from 2011. A murder has occurred (which we do not see), and in the course of investigation, an all-male posse of law officials (policemen and a public prosecutor) with accessory members (a doctor, a photographer and two diggers) are escorting a pair of suspects in search of the crime site to recover the corpse. When the movie opens, it is night and a small convoy of cars carrying the above-referred individuals is threading its way through a narrow path carved out in isolated rural landscape. From this point, the screenplay appears to move almost in real-time. Only one of the suspects, Kenan, appears sufficiently cognizant, but it is difficult to identify the location. Kenan has only a fuzzy recollection of the scene of the crime (He was drunk at the time, he claims) and in the darkness that envelops them, one field or tree looks much like another. Everyone is tired, wishing they were in bed at home, or anywhere other than looking for a corpse on a cold windy night. We hear the banter between the men; these are believable conversations between normal people, not movie dialogue aiming to sound cute or clever. After a few failed attempts at finding the place, a frustrated police chief roughs up the suspect before he is calmed by the prosecutor. The prosecutor understands; the men are tired and hungry, they have been on this trail far too long. He suggests calling ahead and proceeding to a nearby village to eat and rest before continuing the search. The visit to the village forms the second act. The village mayor lays out what meagre hospitality he can; in a place so remote, life is hard for everyone. He repeatedly requests the prosecutor to help the village get funds for a cemetery wall. The prosecutor tells the doctor a story about a beautiful woman that died on precisely the day she had predicted several months ago. At one point the power goes out, and by lamplight the mayor's young daughter serves out tea to the guests, including the prisoners. The men are struck by her beauty and innocence. They also know that in this forgotten village with its hard conditions, there will be no happy endings for her. Kenan, who so far has been burying his emotions, bursts into tears and makes a confession regarding the crime. This act is to me the emotional center of the film, it defines the lives of the characters. It is a beautifully understated moment, relying on observation rather than overt philosophizing. In the third act, the posse continue their search for the corpse. By the light of morning, they finally find the location and with some difficulty bring the body back to the town where the autopsy and other proceedings will be carried out. The film would have been quite a satisfactory gem of observation and empathy even if it just concluded with the journey home. But there is an extension of the last act: a surprisingly heavy-handed revelation from the prosecutor and a small twist in the autopsy. Neither of these in my view modify the overall arc of the film and, although others might disagree, I would not miss their absence. 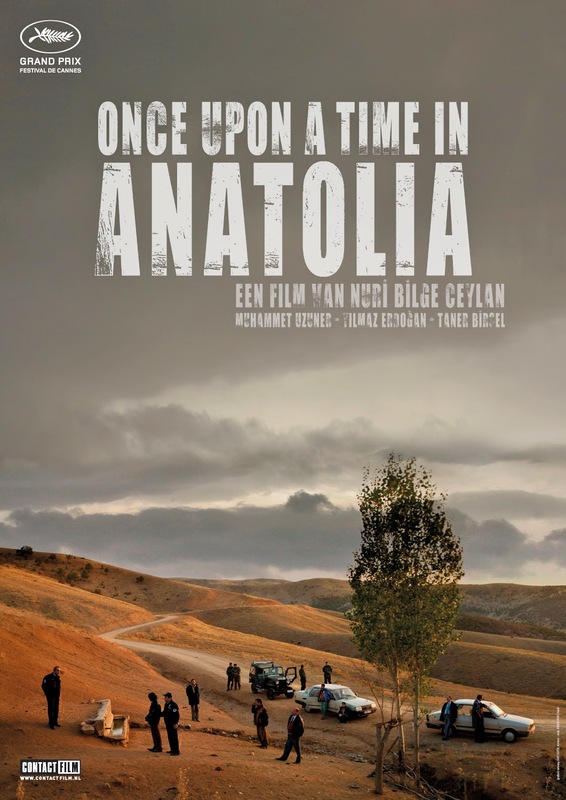 All things considered, Once Upon A Time in Anatolia is a very intriguing film, a minor masterpiece that shares common ground with the works of Tarkovski and Bergman in its exploration of human nature.